Yellen today confirmed that the federal funds rate target range from 1-1.25 percent will remain unchanged once again, and that further reduction of the balance sheet will occur in October. Under its asset sales plan, the Fed will be receiving monthly payments of up to $30 billion for its maturing Treasury securities, and $20 billion per month for its mortgage-backed securities, 12 months into the plan. A full transcript of Yellen's statement is here. Yellen called this process of normalization necessary for the Fed, and timely. Inflation has been well below two percent this year. It is 1.6 percent now and is expected to rise to 1.9 percent next year. This increase should be accompanied by higher interest rates and a more stable economy. It does not impel the Fed to accelerate its planned series of rate hikes. Labor market statistics of late offer reasons for optimism. Unemployment remains historically low and household incomes are rising. Additionally, labor force participation (employed/population) has clearly stabilized. Over the last three years, the range has been within 62.4 and 63.0 percent. The Obama years saw the labor market size stabilize, despite large and increasing numbers of Baby Boomers retiring. However, wages are barely moving. Yellen admitted that analysts were unsure how to explain the sluggish core inflation rate, but pointed out that temporary inflation dampeners might be source of some of the lag. She defended the Fed’s rate-hike plan, arguing that, with little remaining slack in the labor market and the typical wage-price inflation lag, inflation is likely to increase next year. The GOP on the Hill has been unwilling for years to approve fiscal policy measures to combat the recession and stimulate the recovery. Recovery came to depend on the Fed to use its monetary policy authority creatively and aggressively – which it did to enormously beneficial effect. But when the economy was desperate for stimulus, the GOP leadership in Congress used debt brinksmanship to push through the rather contractionary 2011 Budget Control Act. As yesterday’s reports of deficit-negative budget bills in the Senate might suggest, Republicans' austerity fever may have broken now, or for now, with visions of major tax cuts in the offing. But gone is the day when the Fed will take guidance from Congress or the President or compensate for policies badly designed for current economic conditions. The President's views on monetary policy, the Fed, and his upcoming appointments to it will become much better known fairly soon. NEC Director Gary Cohn’s chance of being appointed Fed Chair after Yellen's term is up in four months has diminished. A new contender has emerged. Banker Kevin Warsh appears the most likely alternative to Yellen at present. Warsh was one of the youngest Federal Reserve Board Governors from 2006 to 2011. His views favoring broad financial deregulation clash with those of the Yellen Fed majority. But Warsh has criticized low interest rates. The President, King of Debt, probably doesn't want it made too expensive. 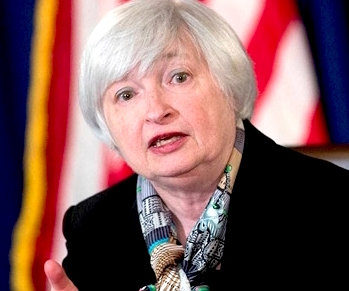 It is not beyond the pale that Janet Yellen may be reappointed Chair. The President praised Yellen earlier this year for being “a low interest rate person.” It stands to reason that President Trump would favor her slow and measured approach to raising interest rates. That's one reason it's hard to predict his stance. With four central bank Governor vacancies out of seven seats to fill after Vice Chair Stanley Fischer’s announced retirement next month, Trump has the opportunity to shape monetary policy for years to come. A majority of Trump-appointed Federal Reserve Board is likely by early next year. Trump’s presumed preference is for accommodative policy. A howl from the bond vigilantes is likely if his nominees seem bent on economic growth. We will find out in short order. Trump’s first nominee cleared the Senate Banking Committee two weeks ago and is headed for a floor vote. We await the appointment of three more nominees, along with Trump’s determination on the Chair and Vice-Chair positions. However, curiously, Yellen did mention during the press conference that the Board could function with only three Governors – three incumbents, that is. Sept. 19, 2017 – This morning, Senate Finance held its second hearing this week exploring tax policy. This time, the focus was on corporate taxes. The Committee heard testimony on topics such as pass-through rates, C-corp rates, territoriality, and options to raise revenue. 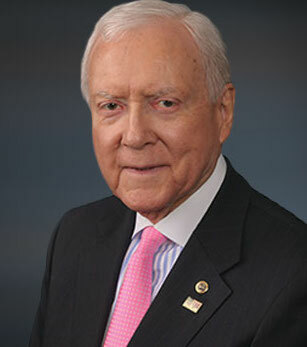 Chairman Hatch again asserted that a tax bill will be written by the Committee in a bipartisan way, insisting that the Secret Six will not force partisan changes since it doesn't legislate. Ranking Member Wyden took aim at the all-GOP Secret Six, whose tax-reform deliberations are the subject of intense lobbying and speculation, attacking purported GOP plans on pass-through taxation, and expressing outrage about the latest attempt to jam through health care repeal. • Pass-Throughs: Republicans defended pass-throughs as a way to support small businesses and spur economic growth by increasing investment. Sens. McCaskill and Wyden were quick to refute these claims, arguing that the benefits of a pass-through rate cut would accrue mostly to the top one percent of earners, as pass-through income accrues to wealthy owners of larger businesses. • Deficit Financing: Democrats emphasized the likelihood that tax cuts would be deficit financed. Precious few ideas have surfaced from Republicans about how to compensate for this revenue loss. Sen. Carper expressed concerns about deficit-financed tax cuts, particularly those disproportionately benefiting the affluent. • Dynamic Scoring: Conservatives continue to cite this fiscal impact metric to mollify those concerned about adding trillions to the debt, saying that tax cuts will spur growth and in turn increase revenue. Not many serious economists think the government would get more than a dime out of the best designed tax cut dollar. Carper and others today called this trickle-down theory, recalling how similar corporate tax cuts of the past have increased deficits without generating growth to make up for them. Sens. Brown and Stabenow excoriated trickle-down economic policies. Stabenow suggested ending the tax subsidies that the five largest oil companies have enjoyed for over a century. She said eliminating the business interest deduction would harm workers, particularly in small businesses. Sen. Cantwell focused on the most vulnerable, highlighting the precarious situation of the Low Income Housing Tax Credit Program, a program with major implications for investment spending patterns of developers. • Pass-Throughs – Sen. Cardin noted that S-corps in his state plead for moderate reductions on pass through rates. • The Interest Deduction – Two witnesses who did not agree on much else, Scott Hodge and Donald Marron, concurred on the prudence of eliminating the business-interest deduction as a revenue source to bring in $1.2 trillion in revenue over the budget window. If the GOP tax plan is so fiscally reckless and inequitable that no Democrats sign on, it will have a better shot if Republicans pass a budget resolution with reconciliation instructions providing for tax changes. No tax changes can add to the deficit outside of a 10-year budget window under reconciliation. A budget resolution that complies means the GOP would need only a 50 + 1 majority to pass the legislation; a filibuster requiring 60 votes to overcome, would not available to Democrats. • is outside the jurisdiction of committee(s) reporting it. Republicans must work with alacrity to create a product that overcomes the above obstacles to reconciliation. The window for using budget reconciliation will soon close. The Senate parliamentarian, who oversees the chamber’s arcane procedural rules, decided last week that the current budget reconciliation privileges would expire at the end of September, the last day of this fiscal year. The GOP badly wants to get a tax bill done this year, so as not to boot it to 2018, an election year. But it will be nearly impossible for Republicans to get this done by the end of the fiscal year. Just tonight, Sen. Corker, a senior Republican on Senate Budget, told reporters that the budget resolution that could unlock the process for reconciliation could be marked up in the coming week or two, depending on whether the Senate is focused on health care. Senator Orrin Hatch, Finance Chair. The following is from Dana Chasin, reposted with permission from his Update 204 (September 14, 2017). The New York Times reports that Committee Chair Hatch has warned against expecting too much in the way of a detailed tax reform plan just yet. Today’s Senate Finance Committee hearing on individual income taxes marked the first indication that we may be witnessing an administration-directed, or influenced, shift from partisanship to triangulation, this time on tax reform. The tectonic shift under the ground of American partisan politics was discernible at the hearing. We don’t feel like we can assume that we can get tax reform done strictly on a partisan basis... so it is wise for us, not just from a policy perspective but from a vote-counting perspective, to try to reach out and earn the support of Democrats as well. The witnesses' testimony, the opening statement by the Chair and the Q&A that followed called into question the hitherto presumed GOP legislative strategy to force tax changes through the reconciliation process. Is it possible Republicans may seek to forge bipartisan consensus and abjure reconciliation? Senate Finance Chair Orrin Hatch dismissed the notion there is a secret cabal of tax planners seeking to re-write the code behind closed doors. He insisted his Committee would write legislation in a bipartisan way, he said, and that the GOP Secret Six that has met over the last few months would not write the new tax rules. Democratic members and all but one panelist recommended that the top one percent not benefit from any tax changes. The administration has weighed in from every direction on this issue over the course of the year. Treasury Secretary Mnuchin articulated the rule named after him in his confirmation hearing promising that there will be no absolute tax cut for the wealthy. Earlier this summer, he said that he had walked that conviction back. Just yesterday, Trump walked it forward again out of nowhere. In today’s hearing, Sen. Casey said he was sure Republicans differed with him and his Democratic colleagues on this front. Chairman Hatch interrupted, saying there was no difference on the top one percent. This would be a signal change. A key point of concern for nearly every Democrat at today’s hearing was revenue neutrality. Democrats are right to worry that massive tax cuts for the rich will likely be financed (either in the short term or down the road) through cuts to the entitlements that low and middle income earners depend on. The GOP, usually happy to pay lip service to revenue neutrality without proposing it. Today's flawed but plausible feints toward neutrality from the GOP came in two identifiable proposals. Both got pushback. Eliminating state and local deductions – garnered immediate pushback from Democrats who claimed such measures would amount to double taxation and result in the blue states carrying too much the national tax burden. Some Republicans are opposed to eliminating the state and local deduction as well. Remaining revenue ideas discussed today include eliminating or reducing the mortgage interest deduction and eliminating the deductibility of interest on business expenses. Hatch and Wyden found themselves in agreement and expected the same from their parties in terms of doubling the standard deduction. This method would lead to a simpler and more fair tax code. This could be a bipartisan feat for the committee moving forward as the elimination of State and Local Deductions ignites disagreement. Witness Iona Harrison of the National Association of Realtors highlighted in her testimony the importance of maintaining the Mortgage Interest Deduction. Harrison called for the simplification, and not the elimination, of particular elements of the tax code. The housing market is a primary tool for wealth attainment for a large portion of the population and therefore, is an undeniable influencer in the cycle of the economy. As such, interests advocating for the mortgage interest deduction have a seat at the table. Republicans have previously rejected the Democrats efforts to establish federal leave for parents, but with Ivanka’s agenda of improving support for working parents, they may end up compromising with the Democrats and with the President by increasing the Child Tax Credit from $1,000 per child up to $2,500 per child. The Child Tax Credit has historically been something that some more conservative Republicans—like Paul Ryan—have affirmed, as it appeals to the down-home traditional family values crowd (who might also reject using birth control or having both parents working). Marco Rubio’s recent discussion of expanding the EITC included the CTC, and the Committee today discussed it at great length with surprising bipartisan agreement on the benefits of expanding the CTC. Chairman Hatch, Senator Wyden, and countless other members on the committee pressed constantly on the issue of using this moment in tax reform for good and relieving the tax burden of the middle and working classes. Senator Cantwell asked witness Batchelder for the best methods of boosting middle-class incomes. Her response was to increase the Earned Income Tax Credit. The EITC is a bipartisan issue that was pursued by Obama and Paul Ryan just over a year ago and has the potential of protecting low-income workers who are being “taxed into poverty” in Batchelder’s opinion. The benefits of this plan may be expensive to achieve when coupled with high expectations of increased Child Tax Credits. After his claim that there will be no tax breaks for the rich yesterday, the President’s policies for working class came under fire multiple times throughout the hearing. Ranking Member Wyden and Prof. Batchelder criticized the administration’s tax policy agenda for its false attempt to put the masses at ease. The Pass-Through Business Income tax introduces a large loophole for corporations to use in order to dodge taxes. With 95 percent of businesses qualifying as “pass-throughs”, businesses could see cuts from a 35 to 15 percent tax rate easily with proper taxation intel on hand. Throughout the hearing, Democrats and witnesses severely criticized the elimination of the State and Local deduction as a partisan proposal placing a disproportionate burden on taxpayers from blue states. The biggest concern voiced was elimination at the risk of double taxation. Senators Wyden and Cardin cried out in the name of protecting constituents’ incomes from excessive taxation at the federal level as the committee may consider throwing out State and Local deduction in the tax reform. • Retirement Security and "Rothification"
The panel of witnesses were weary of the idea of switching to a Roth, or after-tax, model that may impact savings and bring tax revenues into a 10-year budget window. Democratic members of the committee like Senator Brown found the switch from a pre-tax to an after-tax model unattractive. This was especially true when coupled with the probable cuts to entitlement programs and increased age qualification for Social Security. Senator Wyden used a substantial part of his opening statement to make an appeal to bipartisanship, even going as far as to make Reagan-style tax reform a central motif in his appeal for sensible tax reform. Unsurprisingly, Wyden gave no indication that he is any more privy to the Secret Six’s policy details than the rest of us. • a commitment not to benefit disproportionately the one percent, as has generally been the practice over the last several decades. Today’s consensus on the Child Tax Credit, the Earned Income Tax Credit, and vocal agreement on the trio of principles (regular order, revenue neutrality, and no changes for the top one percent) gives one pause. Is Chairman Hatch preserving the possibility of legislating a tax plan through regular order? That would be a tall order. If Republicans surprise the town and open the process to Democratic input, rate reductions will not be as extreme as many thought. To win any Democratic votes, the final package would – it is now apparent – have to include extensions of the Child Tax Credit, the Earned Income Tax Credit, and more policies benefitting the middle class. Whether the GOP seeks to and can attract a few isolated Ds to get to reconciliation or the several more needed to get past a filibuster is actually a matter of national fiscal consequence. OXFORD, Sept. 14, 2017 – I'm here in Oxford for the annual Oxford Alumni Weekend. The lead business story today on BBC News "Business Live" at 8:30 a.m. this morning was the 10th anniversary of "the first run on UK banks in 150 years," i.e., Northern Rock. 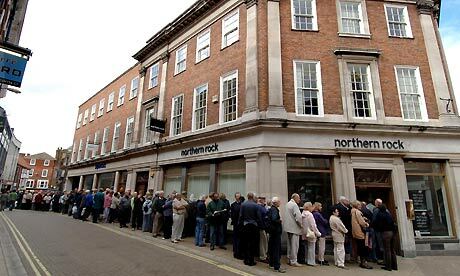 The bank was nationalized five months laters. What has happened in the ten years since then? (1) Bank reserves are higher than they were then. (2) Retail banks have been separated from investment arms of the banks. This sounds a lot like what Senator Carter Glass tried to put in place along with Treasury Secretary Will Woodin in 1933. Rep. Henry Steagall from Alabama was pushing through federal deposit insurance for the banks and the Glass part was to protect the taxpayer. The BBC announcer asked an expert whether the reforms are enough. The expert, a professor, who says no, that there are still too many risks. The fear here is that the Bank of England will soon respond to good news and possible signs of inflation by raising interest rates. In the UK, that means a rise in the cost of variable-rate mortgages. Some mortgage-holders will be taken by surprise. Defaults may increase and cause insolvency among weaker financial institutions. At least the new £10 note has Jane Austen on the back. Has the USA ever had the picture of a woman on a greenback? We were supposed to get Harriet Tubman but reports are that Trump has killed that idea. 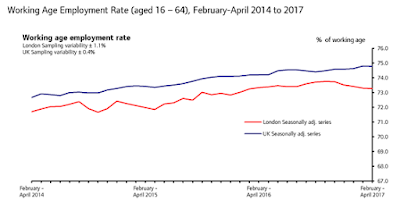 London, September 14, 2017 – The UK employment rate, a robust indicator of national job creation, has surged above 75 percent. As of July it is 75.3 percent of the working-age population. The ratio in London is consistently lower, by 1-2 percentage points, than the national ratio. The UK is right behind, and challenging, Germany on this indicator. The number is current as of July 2017. 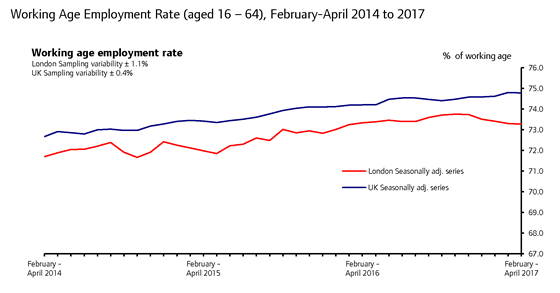 The UK created 379,000 jobs during the year ending in July. The numbers are reported by the Office for National Statistics. The employment ratio is more stable measure than unemployment because it does not depend on assessments by surveyors and interviewees to determine whether someone else in the same household is employed or seeking a job. September 8, 2017 – On this date in 1900, a Cat 4 hurricane hit Galveston, a port city 50 miles southeast of Houston. 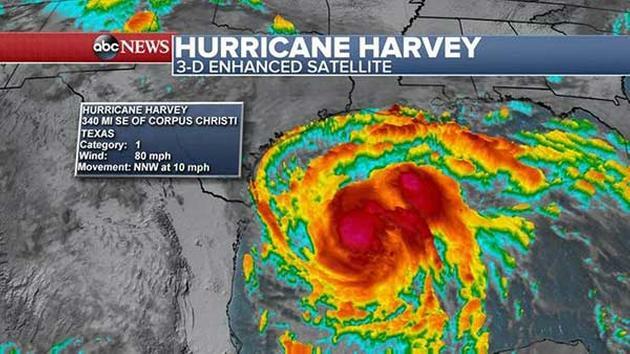 It still ranks as the deadliest hurricane in American history. But other hurricanes were more severe from a damage/cost standpoint, and hurricanes Harvey and Irma are being described as record-breaking. The Great Galveston Hurricane killed 6,000-12,000 people, often cited as the midpoint, 8,000. It was not just the deadliest hurricane in the United States ever, but the deadliest U.S. natural disaster. 1. Galveston Hurricane, 1900. 8,000 dead. 2. Okeechobee Hurricane, 1928. 2,500-3,000 dead. 3. Hurricane Katrina, 2005. 1800 dead. 4. The Cheniere Caminada Hurricane, 1893. 2,000 dead. 5. Sea Islands Hurricane, 1893. 1,100-2,000 dead. 6. Georgia-South Carolina Hurricane, 1881. 700 dead. 7. Atlantic-Gulf Hurricane, 1919. 600 dead. 8. The Great New England Hurricane, 1938. 600 dead. 9. Hurricane Audrey, 1957. 400 dead. The significance of an oncoming storm is estimated by meteorologists based on wind-speed categories and barometric pressure. The two measures are interrelated and point to likely wind speeds. The public needs also an indicator of the likely economic impact of flooding. 2. Millibars — Barometric Pressure. The Christian Science Monitor has posted a lucid summary of the significance of this measure of hurricane severity. (It also repeats the error cited above about the cost of Hurricane Irene — I will return to this.) Ordinarily, the barometric pressure is related to wind speed. The normal sea-level barometric pressure is 1013.5. During a hurricane the eye of the storm shows the lowest barometric pressure. The lower the pressure, the higher the winds. During the afternoon before Sandy hit landfall,the barometric pressure at its eye fell from 943 to 940, which is a level associated with Category 3 or Category 4 winds. The lowest barometric pressure that has been measured in a U.S. hurricane is 882 for Hurricane Wilma. Hurricane Carla was the tenth-lowest, 931. The National Hurricane Center list of the most intense Atlantic hurricanes does not follow the Millibars ranking exactly, since Katrina and Wilma are not in the order one would expect. Irene is not among these most intense hurricanes. So the prospective readings are not a definitive measure of impact. 3. Storm Surge Impact. Most of the damage from Hurricane Sandy is caused by the delayed impact of the storm surge (the hurricane equivalent of a post-earthquake tsunami). We need a new indicator of likely flood damage, which would have to take into account the economic value of property in the track of the hurricane, the sea level of the land, and the size of the expected surge. The Storm Surge Impact index could take into account the timing of the tides — Hurricane Sandy hit landfall near high tide and the full moon added to the height of the tide and therefore to the surge. 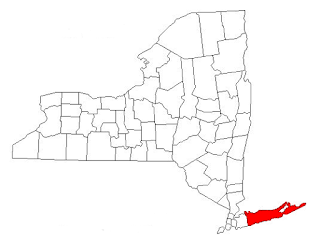 The geography of the surge was important in the case ofNew York City because the surge came from two directions — down the Connecticut coastline through the Long Island Sound and northward through the funnel of New York Harbor. There are at least six basic ways to measure or adjust the cost of a hurricane after the fact. 1. Deaths. Every life is precious. That is why good records are kept on fatalities. On the measure of number of lives lost to a hurricane, Hurricane Irene’s 24 lives lost did not even rank among the 100 most costly hurricanes. As a measure of the severity of a storm, the indicator is limited because government officials are much better than they used to be at identifying places from which people should be evacuated, and at following up. Over the years there has been steady improvement in (a) U.S. Government warning systems via NOAA and its National Weather Service and National Hurricane Center, and (b) the FEMA network of state notification and assistance. Loss of life can be converted to a dollar figure via life insurance losses or a value that economists impute to a person’s remaining working life. Injuries also represent a cost either to the individual or to health insurance plans (private or governmental), and injuries that result in a disability can be attached to a working-life cost. 2. Damage to Physical Property. Property can be destroyed by wind or flooding or a combination. This means a loss of wealth of the property owner. If the loss is charged against revenue, it means a loss of revenue. (A building may be a depreciated asset; loss of inventory is likely to be expensed.) The first impact may be flying debris, the lifting off of roofs, the flattening of flimsily constructed buildings. The delayed effects include (a) loss of electricity from downed power lines, which means that many perishables have to be thrown out, and (b) flooding, which destroys or rends temporarily useless all kinds of property, such as books and electronics, especially if the flooding is from salt water. In 2012, as Chief Economist for the New Jersey Institute for Social Justice, I wrote something for the Huffington Post looking at damage from Sandy in New Jersey and damage from Hurricane Irene. Irene was originally billed as the fifth most costly U.S. hurricane, but was in fact not even among the ten most costly. The claim was based on decades-old figures, not adjusted for inflation. 3. Business Interruption. The delayed effects of a hurricane also include business interruption. Increasingly, businesses insure not only against loss of property but the loss in profits that comes from an interrupted business. When a restaurant or a theater remains closed because of floods that prevent people from showing up, it is hard to make up the loss because the business space has a limited capacity. That is something not fully taken into account by those who look for a large rebound after a disaster, as might be true of a retail store that offers a post-hurricane sale. Some kinds of losses are much harder to make up. Figures on the cost of hurricanes increasingly include business-interruption losses, which bias upward the later numbers — another reason it is so important to adjust for inflation as discussed below. It is incorrect to offset the wealth loss from hurricane damage with the economic activity from replacing the loss — Frederick Bastiat long ago explained why with his “broken window fallacy” analysis. 4. Insured vs. Uninsured Private Losses. Insurance companies are most interested in the total of insured losses. But from an economic perspective, losses to individuals (e.g., workers paid by the hour) are real. The money that would have been spent in the community by the individuals is missing. The National Hurricane Center uses a simple rule to estimate uninsured losses — it doubles the number for insured losses. Note that earlier estimates are generally based on physical damage only, whereas later economic impact numbers, after WWII, include impacts such as business-interruption costs because these became widely insured events. In addition, as mentioned already, dollar-value rankings must be adjusted for inflation. There is no sense in old unadjusted dollar numbers. The most costly U.S. hurricane ever was the 1926 Miami Hurricane, which cost $165 billion in 2010 dollars, according to the National Hurricane Center. 1. Great Miami, 1926. $165. 6. L.I. Express, 1938. $41.1. 8. Lake Okeechobee, 1928 $35.3. Source: NOAA, National Weather Service and National Hurricane Center, Blake and Gibney, 2011. Calculations utilize Pielke et al. (R. A. Pielke, Jr., J. Gratz, C.W. Landsea, D. Collins, M. Saunders, and R. Musulin, 2008: “Normalized Hurricane Damages in the U.S.: 1900-2005.” Natural Hazards Review, 9, 29-42.) Pielke et al. adjust historical data for inflation to 2010, wealth per capita and population. An agreement between President Trump and the Democratic leadership extends government funding, increases the federal borrowing limit through Dec. 8, and provides more than $15 billion in hurricane and disaster recovery aid. 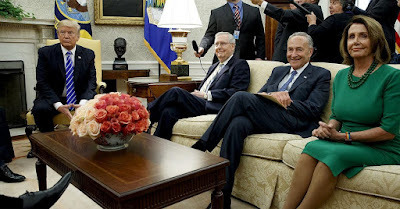 How did the deal come to pass -- and will it pass? Who are the winners and losers if it does? Will the curious coalition supporting the deal become a functional majority, since the partisan majority appears dysfunctional? Read on. Earlier this afternoon, the Senate passed the motion to concur in the House amendment to the Senate amendment to H.R. 601 with a further amendment. That’s fancy talk for, the deal was agreed to by a vote of 80-17. The GOP split 33-17 against and Democrat en bloc in favor, 47-0). The amended bill now goes back to the House for final approval before heading to the President’s desk. The House may consider the vote at any time. The President is expected to sign it. Omitted: new funding for the Wall. • Democrats -- Democrats have won a wedge to drive their way into negotiations, but only a slim one. Trump’s impatience and time are on their side though, and in the press conference announcing the deal, Trump hinted that he wanted to work with Pelosi to try to work on solving the question about the future of DACA beneficiaries. This is odd, seeing as only two days ago he announced the end of DACA, but Trump has been known to make a quick pivot if it will help him look like he’s accomplishing something big. The GOP has the advantage of suddenly having the weight of a government shutdown lifted off their shoulders for at least three more months, without appearing to use the Hurricane Harvey victims as pawns in an ugly floor debate over the budget. However, this means Republicans lose some of their leverage over tax reform issues because the pressure of the debt ceiling closing momentarily lifted. On top of this, the end-of-year legislative calendar just became utterly packed, and as Freedom Caucus Rep. David Bratt put it “Massive deals and cliffs and omnibuses that take place right before the holidays end up being very bad for conservatives…” He’s right. While the some in the Freedom Caucus still have lingering memories of the concessions they won from Obama with the 2011 Budget Control Act (concessions that were won at the height of the Freedom Caucus’ influence), more recent end-of-year slug fests have hurt the GOP for more than they have helped. • The Administration -- Trump and Ryan have never seen eye-to-eye, not since the primaries, and McConnell has fallen into ill-regard by the President as well after the Republican failure to secure the vote to repeal the ACA. Avoiding the usual processes is a sign of Trump’s impatience and also his determination to have his way to get something done, playing by the rules or not. In doing so, Trump turned his back on Ryan and McConnell, who were pushing for an 18 month extension, and then a 6 month extension on the debt ceiling. His going rogue means that we’re finally seeing some of the infamous dealmaking here in this first bipartisan legislative act of eight-month old Trump’s term. At the end of the day, it’s a win for Trump. He badly needed a win-- practically any sizable win-- and he got one. • Debt Ceiling -- The debt ceiling has been extended. For now. A three month extension certainly means the issue isn’t going away anytime soon, and Republicans will face yet more difficulty whipping up support for an extension at the end of the year. • FY 18 Budget -- An extension of the FY 17 Budget means that (at best) FY 18 will be 9 months long. This is not only a major concession, but it conjures a major question: Are Republicans capable of producing the resolution necessary to pass their tax reform efforts? • DACA -- DACA has been thrust to center stage. Not only did Sarah Huckabee Sanders speak in bluntly about the need for Congress to address the 800,000 DACA recipients left in limbo by Trump’s decision to end the Obama-era executive order, but progressive advocacy groups have pressed Democratic leaders to use their newfound leverage to aggressively press the issue. Hopefully this is good news the Dreamers as Democrats will likely push the issue now that they have some firm ground to stand on. • Health Care Finance -- With the reconciliation instructions for ACA repeal expired and Republican attention turned to tax reform, a last-grasp Obamacare repeal effort seems unlikely. But financing for individual health insurance markets is still needed and bipartisan efforts to address this need are underway in committee. Let's see if Democrats can use their new-found leverage to push new funding through. • Entitlement Reform -- A long-time goal of the Republican Party’s right wing which wanted to use the debt ceiling negotiation as a way of extracting spending cuts and entitlement reforms. This now seems dead on arrival. Since Trump is still looking to get something big done, it seems he wants to try to get tax reform passed through reconciliation--in a Republican-majority Congress where it should be a cakewalk--this buys him some time to do that. The Congressional Parliamentarian delivered instructions to the Republicans this week that require them to use reconciliation by Sept 30th before it expires. The talk so far has implied that the Republicans want to still try to push through the ACA repeal through reconciliation this month, but Trump’s focus has completely turned to tax reform. With a series of speeches this month about fiscal policy (occurring in places like Missouri and North Dakota), he seems to be attempting to pick off Democrats like Heidi Heitkamp and Claire McCaskill and pressure them to supporting his agenda. But if his agenda is oppositional to that of Paul Ryan and Mitch McConnell out of spite, who is to say what might be on the table when he finally gets down to brass tacks and gives some concrete numbers in a tax reform proposal. This was not how this deal was supposed to shake out. While the GOP had hatched a plan over the weekend to attach Harvey relief funding to the debt ceiling, the original plan had been to extend the ceiling by 18 months, pushing the next difficult vote past the 2018 midterms. But Trump is certainly one to hold a grudge and he’s been trading barbs with McConnell and Ryan for months. On top of this, Republican leaders in Congress are perpetually stuck between the necessities of governing and intransigence on their right flank. Because the Freedom Caucus decided to play hardball with the debt ceiling, Speaker Ryan was unable to deliver a GOP majority and had to turn to Democrats for votes. Pelosi and Schumer took this leverage to the White House where Trump was all too happy to make Ryan look like an absolute fool in the process of striking a deal with the Democratic leaders. Congressional Democrats definitely got a win here, but it’s probably a less of an emphatic one than much of the media coverage would suggest. Yes, Democrats got three more months of an Obama-era budget, and yes, they put pressure on Republicans by showing that they can get Trump to work with them on must-pass issues. This means they have increased leverage when it comes hot-button issues like tax reform (i.e. stopping the Republicans from passing major tax cuts), DACA legislation (i.e. making Republicans actually pass something), and address the ACA (i.e. getting more money to shore up private health insurance markets). But this newfound and putative leverage should not be overstated. Republicans can’t count on Freedom Caucus votes come December, so Democrats certainly get more room to maneuver, but that doesn’t mean they’re about to play hardball with something as important as the debt limit. What Democrats are hoping is that this new found bargaining chip will give them enough purchase to protect Obama era legislation while protecting some parity for defense and non-defense spending in the upcoming negotiations over discretionary spending. At the end of the day much of the media energy about this deal simply derives from how bad this all makes the Republicans look. Tactically, the Republicans are now in the politically awkward position of having to wrangle over the debt ceiling once again all the while time keeps slipping away from a legislative agenda that is stuck in the mud. While Republicans gained some time now to focus on their tax reform efforts, they will lose time later (in December or early 2018 depending on the Treasury's extraordinary measures) when they once again have to turn their attention to the debt ceiling. Republicans will now have to have to pass a completely new budget resolution and new reconciliation instructions in order to get to simple majority vote in the Senate to move on their tax reform plans. Democrats are rightly cautiously optimistic that the deal will give them increased bargaining power going forward. But the real story here lies with the Republican Party. What Trump’s turn to the Democrats suggests is that Republicans have lost the ability to govern. While the Senate killed health care reform the House has an uphill battle to pass the budget resolution that is necessary to tax reform without ceding power the Democrats. The GOP is a party at war with itself, with little to suggest interest in or capacity for governing as majority parties generally do in a democracy. The first-quarter county data came out from the Bureau of Labor Statistics this morning (http://bit.ly/2wFDNPd), showing how Suffolk County is doing on jobs and wages. Average employment in the county rose 0.6 percent, up slightly from the first quarter of the previous year, but not as much as most other counties. Suffolk ranked #259 out of 347 large U.S. counties, on the edge of the bottom quartile. Manhattan jobs, by comparison, rose 1.3 percent, closer to the median county average. Brooklyn jobs rose 3.2 percent, which ranks #34, in the top tenth of the large counties. Suffolk average wages rose 5.1 percent, ranking #260 out of the 347 counties, which puts it in the bottom quartile. In Manhattan, by contrast, wages rose 6.3 percent, again putting the county in the middle of the ranking.